We hope you have had a wonderful Holiday Season! It's Beth, and we are on to the next holiday, St. Valentine's Day! 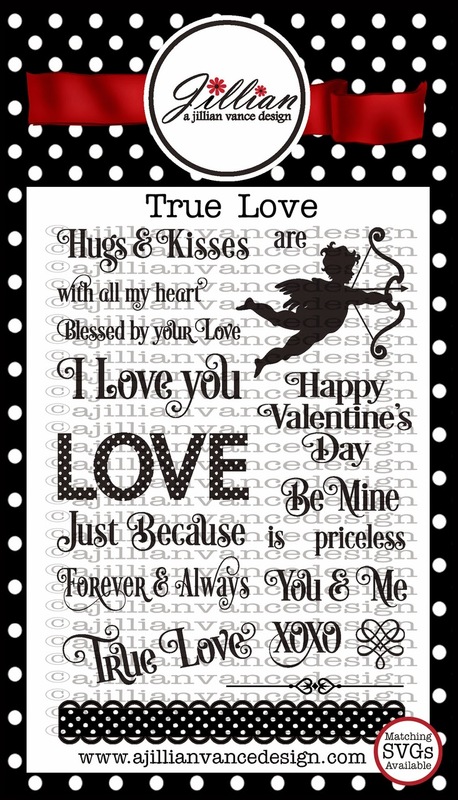 I have a True Love card with non-traditional colors. Why? Because the 2 sheets of patterned paper were on the top of my stack and I thought they looked pretty good together! Does that ever happen to you? 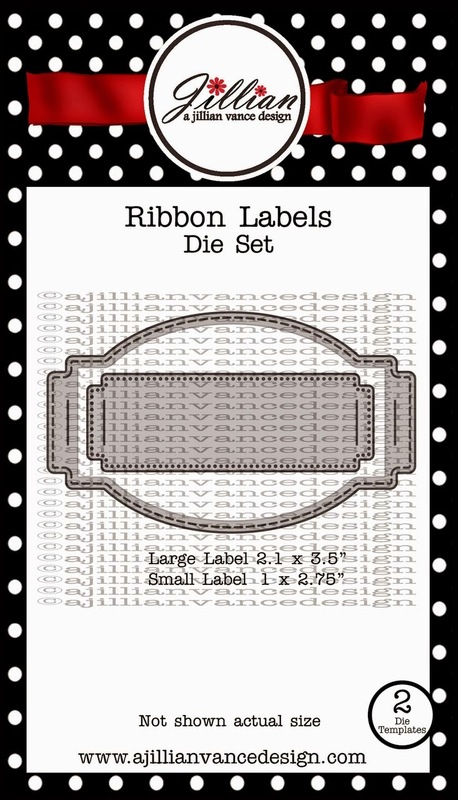 Layer the new Ribbon Labels die set with Chalkboard Backdrop die cut. 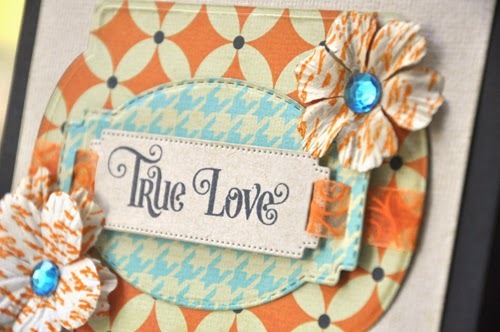 Stamp "True Love" sentiment from True Love set. 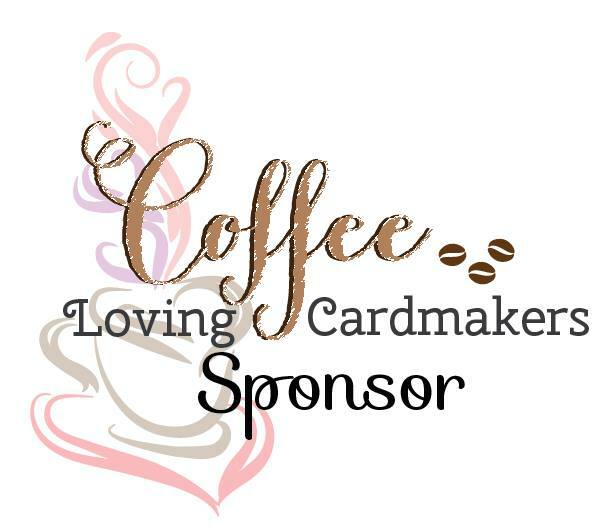 Ink the edges of dies cuts with light brown ink. 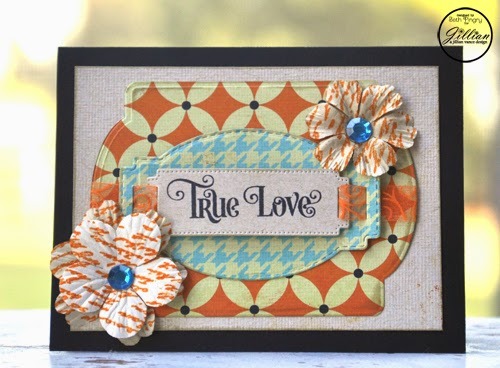 Add 3D Foam Squares to back of True Love stamped piece, keep the liner on! 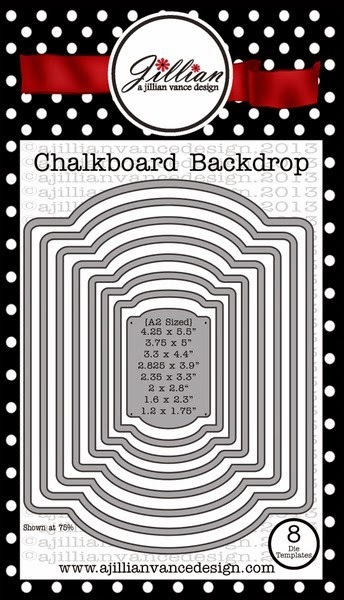 Pull ribbon through the Ribbon Labels die cuts, adhere to back of Chalkboard Backdrop. Adhere blue die cut to orange die cut, then orange to natural cardstock, then to black cardstock base with E-Z Squares. 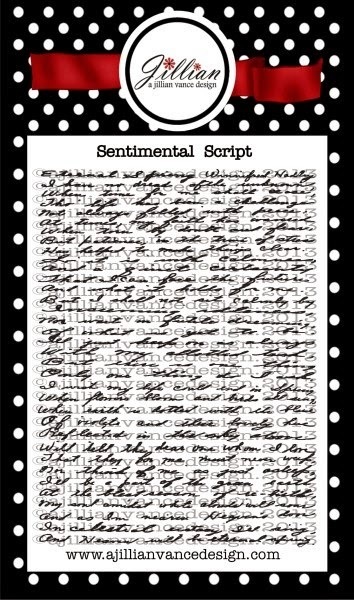 Stamp Sentimental Script onto store bought flowers with orange ink. Layer flowers and adhere to card with E-Z Squares. 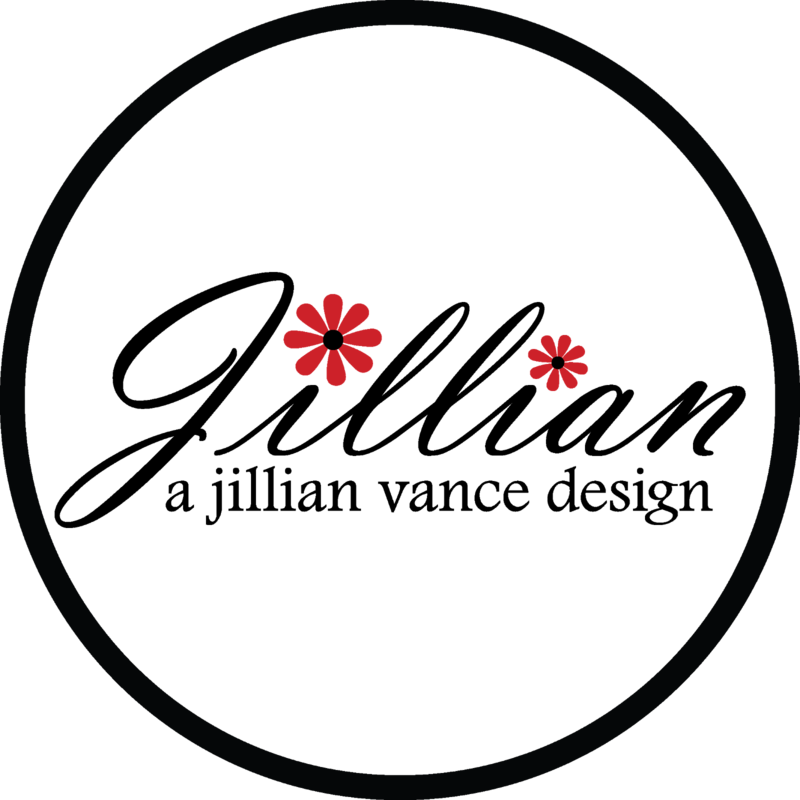 Add blue bling to center of flowers. 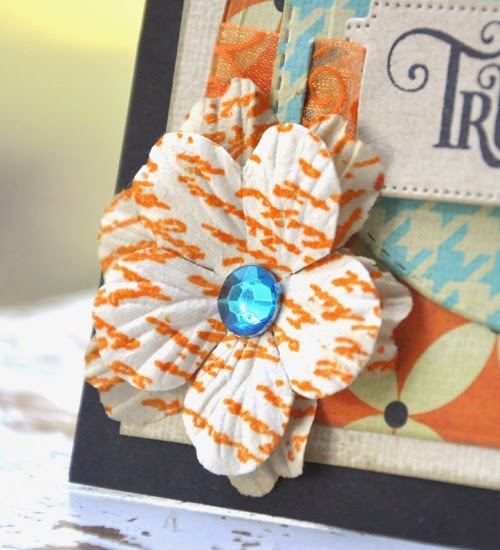 I love the look of text on the flowers, and I love the Sentimental Script stamp! I rotated the layered flower so the text didn't line up. I love the non-traditional Valentine Beth.